On 23rd and 24 Aug 2007, I was in IBM Rational Software Development Conference 2007. This was so boring. 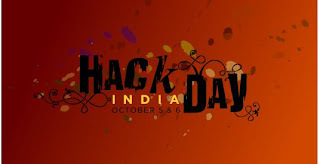 Now on last Friday and Saturday, (5th and 6th Oct 2007): I was in Yahoo Open Hack Day (India) conference. This turned out a gr8 event of my life. Had lots of learning, fun and enjoyed hacking. Even I met several very important personalities like David Filo (Yahoo co-founder),Christian Heilmann,Philip Tellis,Parashuram Narasimhan and many more.